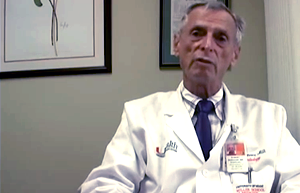 Cur&#275us met with Robert M. Quencer, MD, Robert Shapiro Professor of Radiology at the University of Miami Miller School of Medicine and Chairman of the Department of Radiology, a position he has held since 1992. The former Editor-in-Chief of the American Journal of Neuroradiology from 1998-2005, Dr. Quencer brings his vast knowledge and neuroradiology expertise to the Cur&#275us Editorial Board. In addition to his clinical, academic and leadership roles, Dr. Quencer has published over 150 articles and book chapters in many areas of neuroimaging and has authored two books in neuroradiology.